Unquestionably the best hair salon in Eastbourne and under new management. 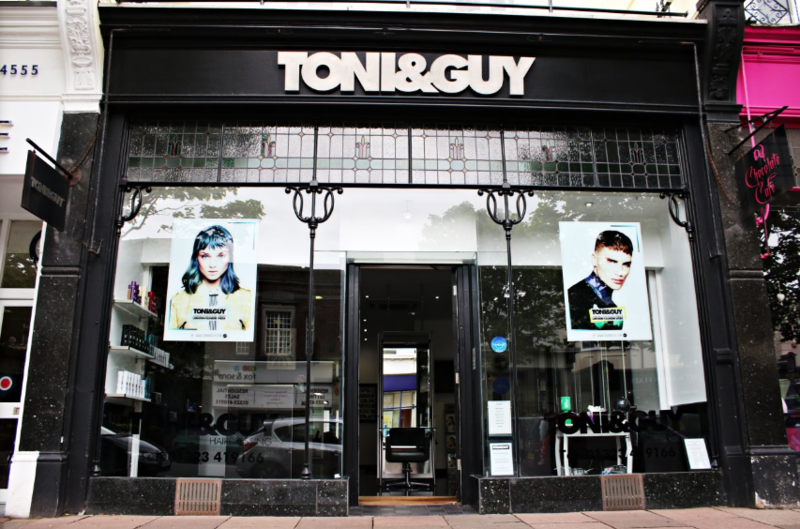 TONI&GUY Eastbourne opened in the town centre in 1998, originally on Terminus Road we moved to our new premises on Cornfield Road in 2006. We are dedicated to providing the ultimate salon experience with a strong team of talented and passionate stylists and technicians who will ensure your TONI&GUY experience is a fabulous one for both you and your hair. Love my new hair cut - Michele listened to my vague request and made it exactly what I wanted! Thank you ever so much. This salon is honestly amazing every time!! The girls are amazing at what they do, from the greeting from the lovely Receptionist to the girls constantly offering drinks, making such an effort and being so attentive. Getting my hair done here is something I always look forward to!! Kate and Ella’s service they provide is honestly an 11/10. They are the loveliest ladies and they are hair queens!! From my first appointment with Kate, she had given me the hair colour I wanted and love and I always get so many comments on how glossy my hair looks and with Ella’s amazing cutting and styling, I leave feeling my absolute best. They give you the full salon experience and I love chatting with them whilst they do my hair, they’re the most down to earth ladies. Love this place and love the girls there!! Upbeat happy atmosphere. Friendly staff who want to cater for all your needs and requirements. Been to the same stylist for years and always come away happy. Kate and Ella are both amazing, knowledagble. Salon is a lovely place to be and coffee is lush!! What’s not to enjoy Kate.. great colour.. Ella .. great cut... Easter eggs & Prosecco absolutely delighted.. got a thumbs up from another customer on way out 5 stars all the way. Lovely service nice chatty staff , very happy with result , many thanks ???? Michele is a brilliant hair stylist and deserves a medal for always making a crackin job on my Barnet. I've never left the salon feeling less than delighted. It's always such a pleasure visiting the Eastbourne branch of Toni & Guy. The whole team are so welcoming and friendly. Both Kate and Stacey are amazing, they both listen to what you want and any concerns you have, they put you at ease and I feel on top of the world every time I leave the salon. I always work with Leanne to find a new edgy short look every time I come in and she doesn’t disssapoint- really great cut today. The salons relaxed and professional and I also had a great cup of coffee! Recommended. Wonderful colour thank you Holly???? Amazing cut thank you Ella ??? ?